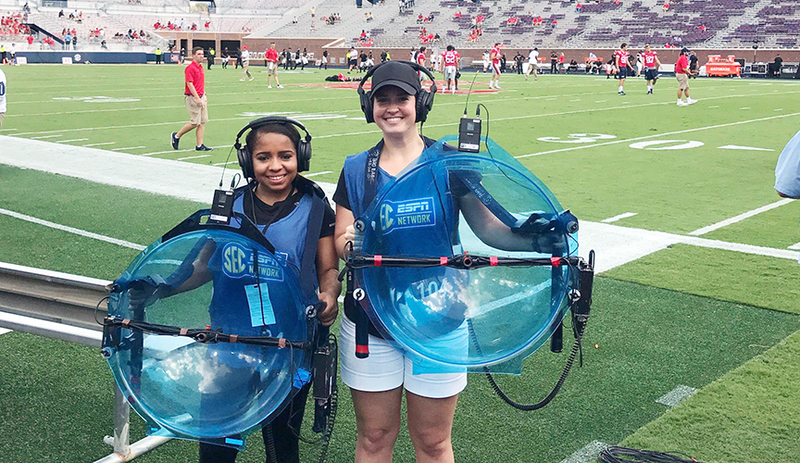 Broadcast journalism students Annie Mapp and Kirsten Faulkner were on the sidelines of the Ole Miss vs. Vanderbilt game Saturday, Oct. 14, working the parabolic mic for the ESPN/SECN broadcast. The mic is used to enhance the noise from the field to make those watching at home feel like they are at the game. Meek School students are regularly invited to work as runners, production assistants and utility workers alongside the main production crews for sports telecasts. It’s a great way to learn, earn a little money and have fun. “I enjoyed every minute of it,” Faulkner said.